Within weeks after surgery, if not sooner, symptoms that had plagued back pain patients for months, such as pain, weakness and numbness, usually improve greatly. When your lower back just won’t stop hurting – and a variety of non-surgical treatments fail to ease the pain – micro-lumbar discectomy surgery may prove to be the most effective remedy, according to Kaixuan Liu, MD, PhD, founder and president of Atlantic Spine Center. Lower back pain affects 8 in 10 adults at some point in their lives, so it’s not an unusual condition. But few cases don’t respond to so-called “conservative” treatments such as pain relievers, physical therapy, ice, heat, or rest, Dr. Liu explains. When that happens, however, it may be due to a herniated disc in the lumbar spine region – the lowest part of your spine, just above the tailbone. When a spinal disc is herniated, its contents are protruding from its tough outer shell and pressing on surrounding nerves. This situation can lead to severe pain as well as neurologic symptoms such as tingling and numbness in the legs. In extreme cases, the disc herniation can lead to paralysis or loss of bladder or bowel function, Dr. Liu notes. The name of this procedure is derived from the words micro, meaning small; lumbar, meaning the lower back; and discectomy, meaning removal of the protruding disc portion. What really sets this surgery apart from an “open” procedure is how it’s done using a special surgical tool with an attached microscope so surgeons can see the area around the spine without using large cuts. Performing only a tiny incision over the affected area, surgeons pull back muscles and soft tissues around the spine without unnecessary cutting. After the problem disc is revealed, small tools are used to remove protruding disc material. A few strong stitches close the surgical area, with special surgical glue often used to close the skin. What else can you expect as you recover? The complication risks of this minimally invasive surgery are small, so infection, bleeding and other problems don’t typically occur. But it’s still important to take precautions to promote recovery, such as avoiding lifting heavy objects, sitting for long periods, or bending or stretching too much. Additionally, physical therapy is often prescribed to ease pain, strengthen muscles and tissues, and get patients fully back to normal. 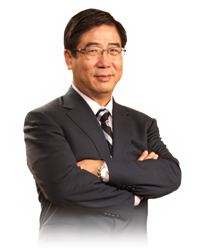 Bio: Kaixuan Liu, MD, Phd, is a board-certified endoscopic spine surgeon who is fellowship-trained in minimally invasive spine surgery. He is the founder of Atlantic Spine Center.